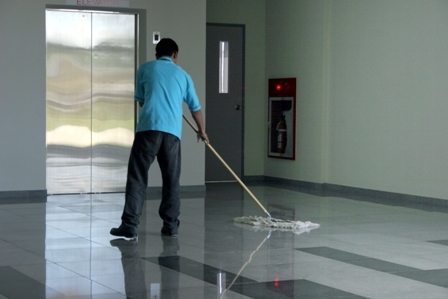 Ensuring that your business is always clean is extremely important. Not only does it improve the efficiency of the workforce and make it a happier nicer place to be, but it is also essential so that you are in line with health and safety laws. It is important that your business is always considering clean and tidy so that customers and your workforce are always in a safe environment. If you are working in a large building, factory or industrial structures then it is essential that you choose the correct industrial cleaning service available to you. There are a variety of different types of industrial cleaning services you can get so it is important that you choose the right one for your business. High pressure water jets are used for various reasons in industrial cleaning. It can be used to perform high quality cleaning in places such as laboratories where chemicals have been used. It can also be used to clear up any chemical spillages. High pressure water jets also come in useful for when unblocking a drain. Getting rid of your oil safely is important as it can be harmful for others and it is difficult to dispose of. It is also extremely good for the environment by recycling it. You can get the used oil taken away then recycled and returned. You can use the oil for the same purpose or for different purposes in the future. Oil and water mixes are popularly used in manufacturing processes, and once it is used you may find that the mix is now no good to you. However, you can get it taken away and recycled, where they will separate the water from the oil. It is a very wise idea getting your oil recycled, as not only can you reuse it, but it is a much cheaper alternative than buying new oil. And of course it is much better for the environment. Many different businesses use hazardous substances on a regular basis, and it can be difficult to dispose of correctly and safely. So you can hire an industrial cleaning company to dispose of the hazardous items safely. You can also ask them to provide you with the correct safe storage for your hazardous substances if you don’t already have them. Many good industrial cleaning companies will offer an emergency repose team, if your business has a spill, such as oil or chemical spill. The emergency response team will come to your business quickly where they will deal with the problem. Next How much do airplane pilots make?